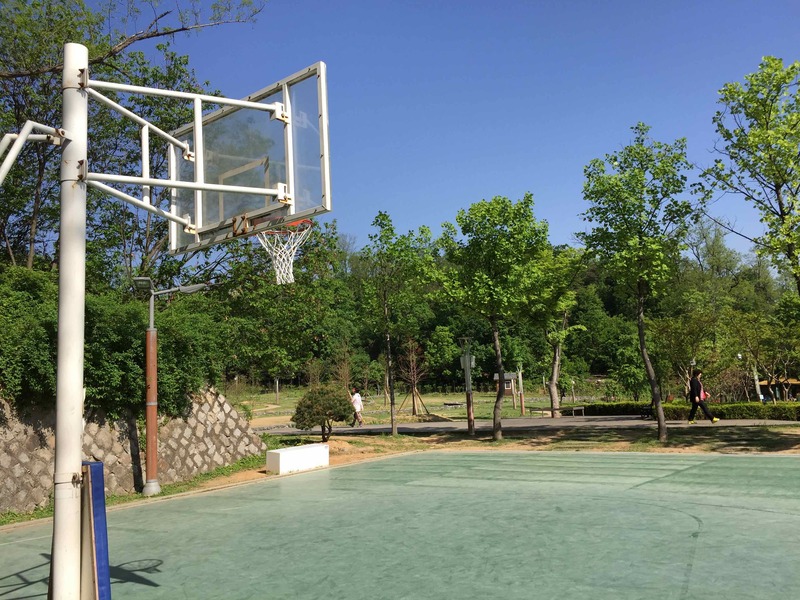 West Seoul Lake Park is a fantastic piece of greenery. Sports isn't its strong suit, though. This is especially true for its basketball court. 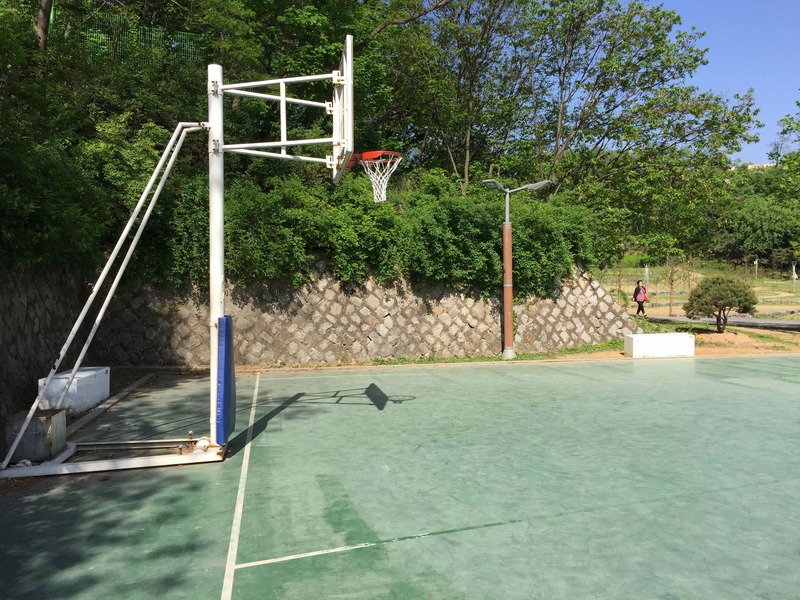 However, at least it does have a basketball court. Sometimes you don't want a full court. Sometimes a half court is all you need. 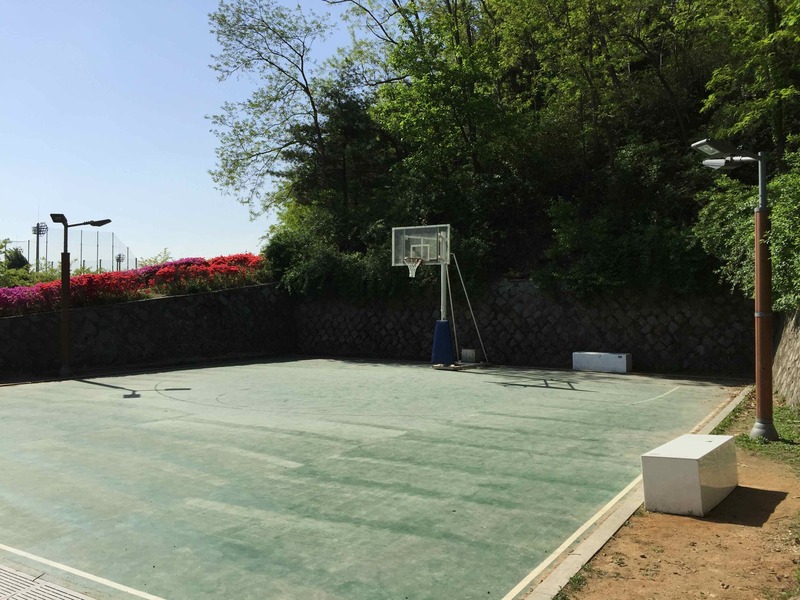 Whether it's to run a 3-on-3 half-court game or just to shoot around, the half-court basketball court at West Seoul Lake Park is just what the doctor ordered. The court is in pretty good shape. 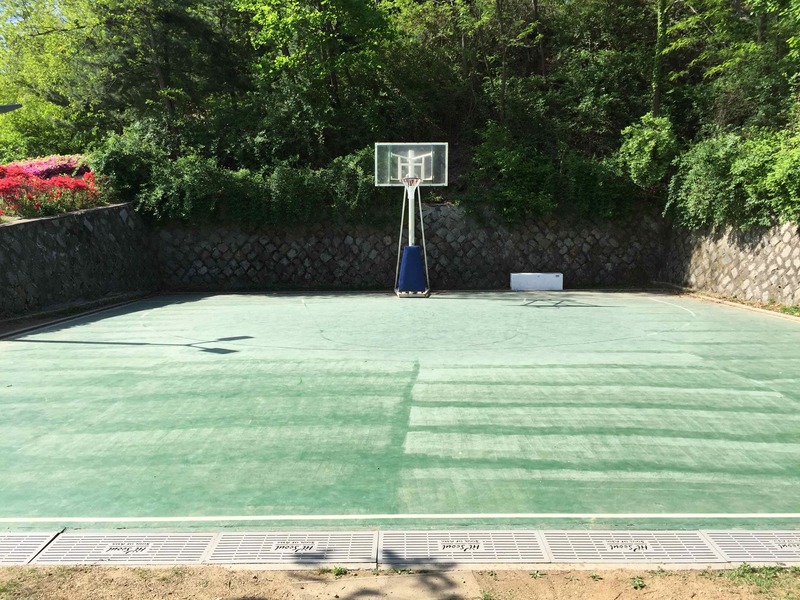 The standard green outdoor court asphalt is nestled into a small cutout in the side of a hill. There is not much room to spare along the sidelines near the baseline, so don't go diving to save any balls heading out of play. However, this does provide plenty of shade for those hot summer afternoons. There is lots of shade either on the court, courtside, or near the court. The surface is in pretty good shape. It is quite a trek from the nearest subway station. As implied from the previous line, the court is isolated. It's not the most convenient place to play. Any wild attempts to save a ball from going out of bounds near the baseline could result in a trip to the hospital. Stone walls always win. Ball. That's what you've gotta do. At the main entrance to the park, there are some convenience stores nearby. Check out the West Seoul Lake Park photo album to see more pictures of the area. -Go out exit 4. Take Bus 653 from the nearby bus stop. Ride the bus to West Seoul Lake Park stop. It will take approximately 10 minutes. Walk in the same direction as the traffic on your side of the street. Veer to the right along the first street you come to. West Seoul Lake Park will be on your right. -Once in the park, continue uphill. Follow signs towards the 'Open Meadow'. 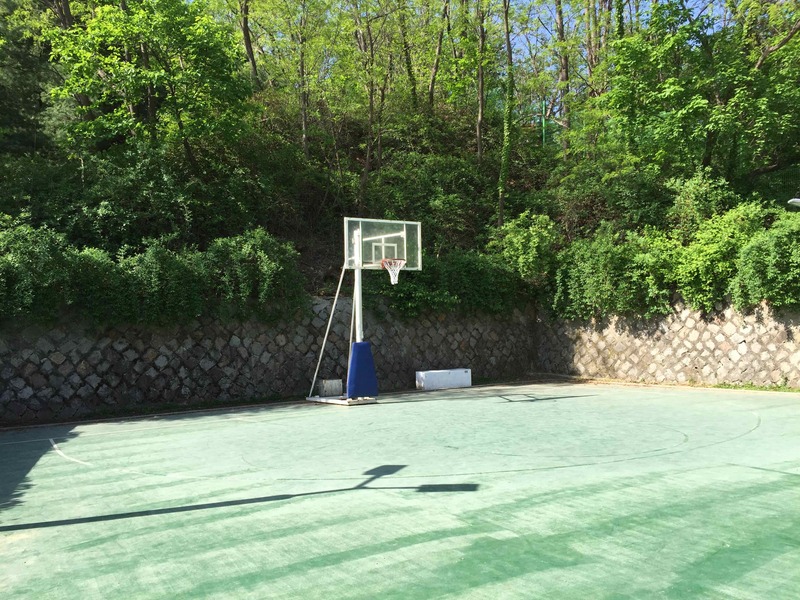 The basketball court is beside the open meadow and just uphill from the lake.